Chuan-Bin Chung teaches art at Taiwan’s Shu-Te University, creating impressive chalkboard drawings for students in his Illustration, Anatomy of Arts and Painting Skill classes. The class does have a textbook, but the students do not use it. 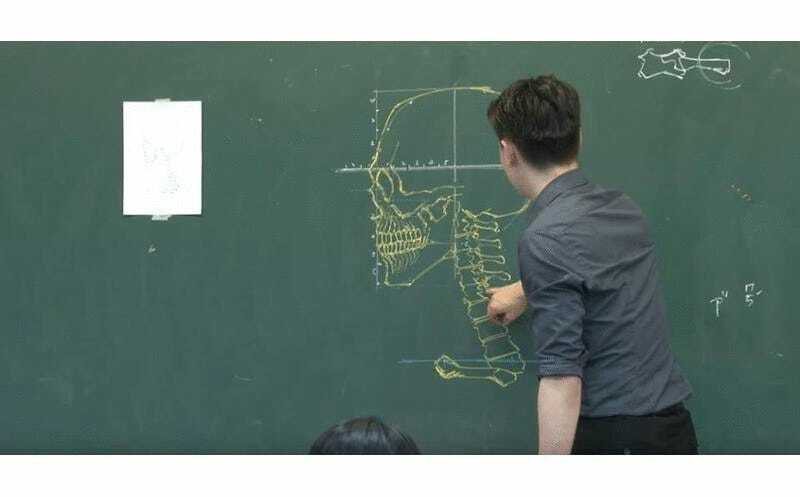 Instead, as Chung draws skeletal structures on the chalkboard, the students must draw what he’s demonstrating. Learning about the human body is obviously very important in art. You can check out the teacher’s Facebook page, which is filled with more of his art lecture work as well as his commercial illustration work. Chung has put some of his classes on YouTube, which you can see below. Here’s him working on a whiteboard. He’s an incredibly talented artist and, from the looks of it, an interesting teacher.